I’m an avid Disney fan, how can you not be? But I definitely have my favourites just like everybody. In fact, I have 5 favourite Disney films that I repeatedly watch and fall in love with every single time. I’ve been collecting the Disney classics this year and my collection is very slowly expanding. I’m hoping Santa brings me a few of my favourites this year. Disney has always been a huge part of my life since childhood and having been the younger sister of two older brothers, I often got to choose what we would watch and without fail, Snow White and the Seven Dwarfs was always my first choice. I loved it, my favourite drawf is Sleepy because he reminds me so much of myself. I love a good nap. Snow White is my favourite Disney princess and I just like how innocent she is also the youngest of all the princesses. This was and always been my overall favourite Disney film. My second favourite is Big Hero Six. Having recently been released I wasn’t that fussed on watching it but once I did I was so overwhelmed with the story. It wasn’t your traditional Disney film and it actually represented the feelings and emotions of grief and depression through loss of a loved one. It’s brilliant and it also makes me a lot happier that Fall Out Boy sang the ending song. My next favourite is The Aristocats. I bloody love this film which is surprising since I’m not an animal lover and especially not cats. However this film so freaking cute, Marie is my favourite because she’s full of so much attitude and sass. I actually first saw this when I was 16, definitely not a childhood love but it’s grown on me and now it’s the film I will always watch when I feel unwell. My fourth favourite is Frozen. Some of you may really dislike this option but I don’t care. This film is bloody great, it’s not about romantic love but sibling love. It’s the total opposite to the normal Disney film and I think that’s what brings so much character this film. Olaf is so cute and bubbly, I want him in my life. My final favourite is Cool Running’s. It’s not animated and is actually based on the true story of the Olympic Jamaican bobsledders. It’s utterly fantastic and so funny. I first watched this with my brothers when I was a kid and now I can’t even count how many times this film has been watched by me and made me bubble with love and happiness. It made me want a lucky egg for so long. 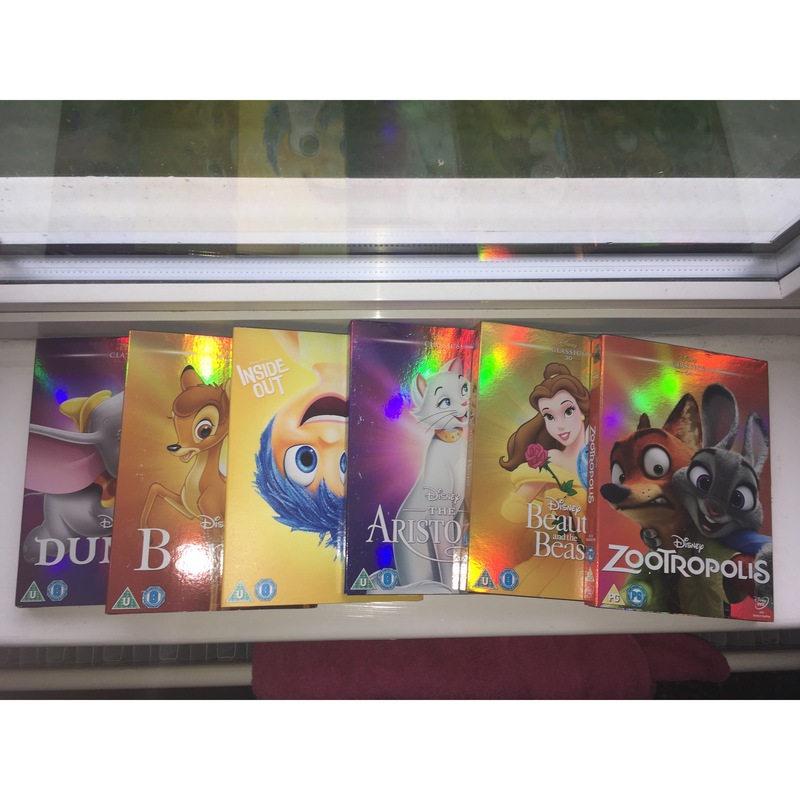 There we have my top 5 favourite Disney films. What’s yours? Let me know!